Over the last 5 years, Kruševac, alongside cities of Lazarevac and Sombor, has managed to stand out as the host of wine festival which strives to promote Serbian wine-makers and Serbian wine. The smells of fish broth permeate the air of the Danube quay, in the vicinity of Nebojsha Tower in Kalemegdan fortress, and the fantastic taste of river fish specialties will be offered to all those who visit Fish Fest which will take place from Friday, 29th June, 2012 till Sunday, 1st July, 2012. The second day of BIWC started with Serbian wines in the spotlight. Stevan Rajta, our sommelier who gained work experience in UK, USA, France and Italy, presented a selection of top Serbian fine wines at the Master Class workshop. IBWC (The International Balkans Wine Competition) is entering its final phase in the Grand Hotel Sofia located in downtown Sofia (Bulgaria). Following wine evaluations on Thursday and Friday, Saturday and Sunday are dedicated to wineries which will present their wines to wine-loving visitors. 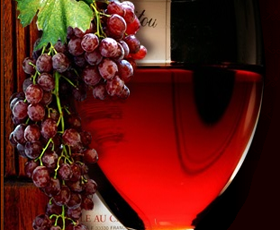 ARENA ZABATKIENSIS wine knight order hosts Palić Wine Feast on 26th and 27th May, 2012 on the Grand Balcony in Palić. Every year, during the feast, Palić Rotary Club organizes a charity event in order to raise funds to support vulnerable groups.